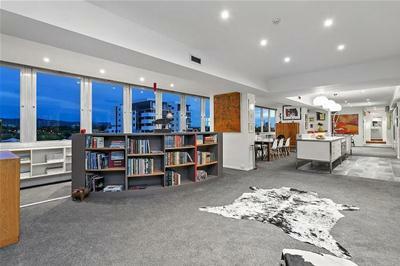 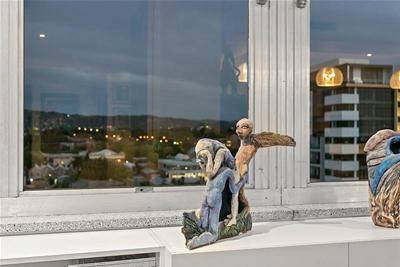 This stylish, renovated apartment is right on the edge of the CBD, with panoramic views from the hills to the city and parklands, from the eighth floor. 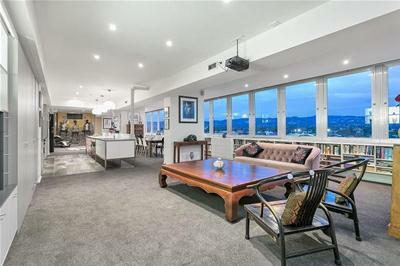 Renowned architect Phil Burton transformed this entire floor to solely residential - this Apartment being by far the largest and most imposing making the most of the spectacular views, the light, and his client’s great art collection. 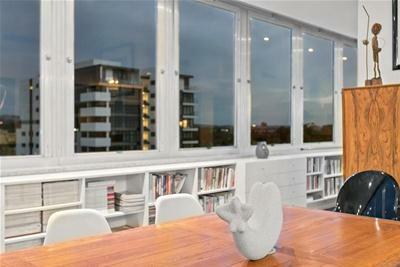 The apartment reflects the contemporary taste of the owner and provides a timeless and sophisticated environment. 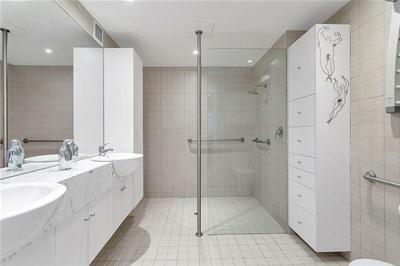 It is effectively a blank canvas for the next owner to add their own touch and style. 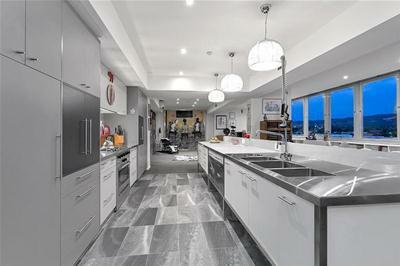 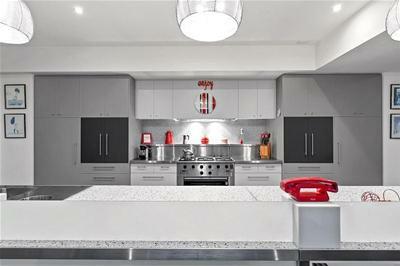 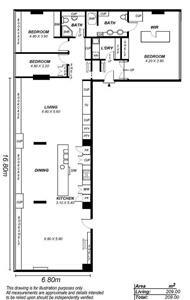 The kitchen has been designed for large scale entertaining and would suit the most discerning chef. 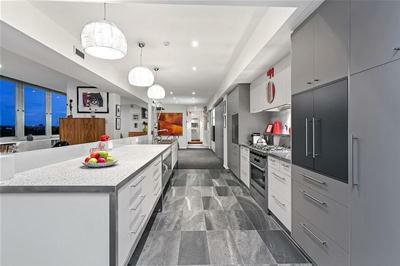 As with the laundry only quality appliances have been used and several will remain in situ in their bespoken cabinetry. 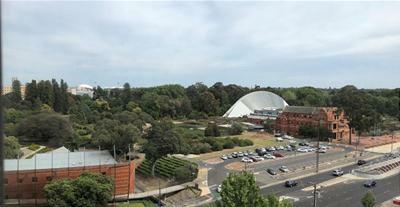 There is allocated car parking for two vehicles. 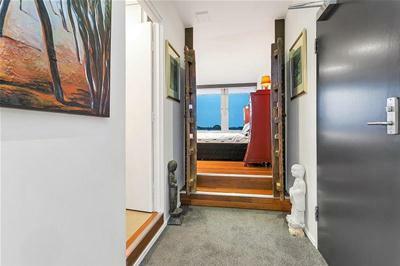 This apartment would suit a family as there are three bedrooms, two bathrooms and an enormous family/dining open plan kitchen area of almost 120 square metres. 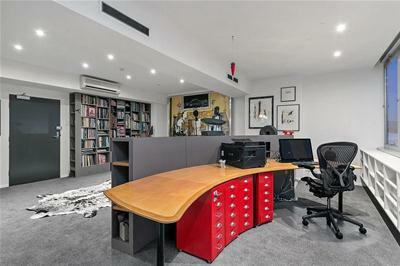 It would also suit a business couple who prefer to work from home, given its close proximity to the CBD and the facilities located nearby. 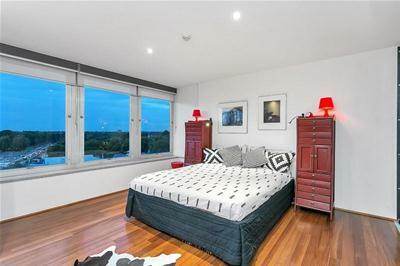 The master bedroom has stunning views over the Botanic Gardens and across to the eastern suburbs; facing north, it is light and bright and has a separate dressing area with floor to ceiling wardrobes and shelving, leading through to the spacious ensuite. 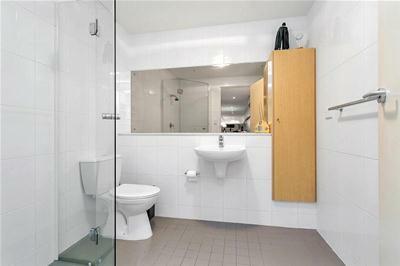 Both bathrooms are in neutral tones with natural timber cupboards. 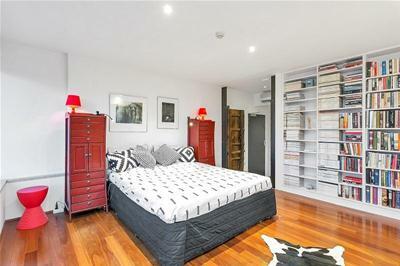 There is ample storage and metres of quality built-in bookcases and shelving for the avid reader or collector. 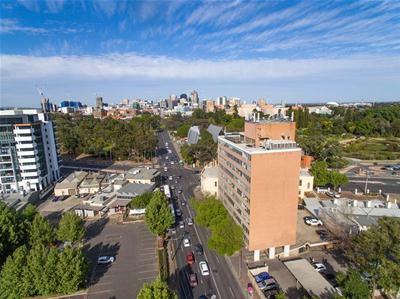 The property is within minutes of both St Peter’s College and Prince Alfred College; the Botanic Gardens are across the road and the new tram extension is only a few minutes’ walk away; providing even faster access to the university campuses along North Terrace. 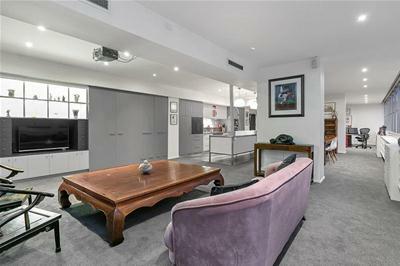 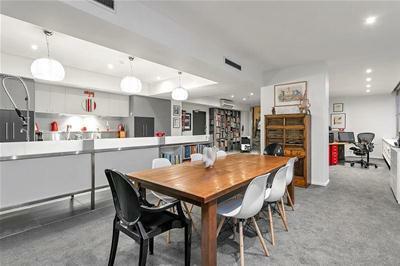 This apartment offers a discerning purchaser the opportunity to live close to the city and all its amenities but with the extra space rarely provided in most conventional apartments and the added security of a private floor in one of Adelaide’s iconic 1960s buildings. 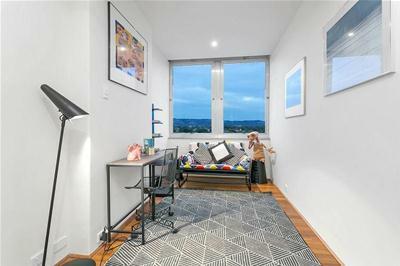 Imagine yourself in this sub-penthouse after work, watching the sunset, only minutes from work, while everyone else is still stuck in traffic travelling home. 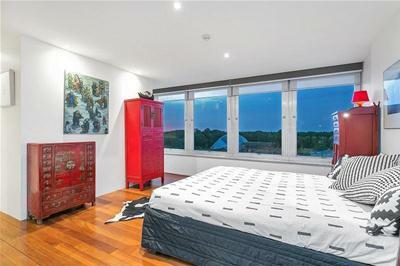 Enjoy the city lifestyle with room to move, and breathtaking views.